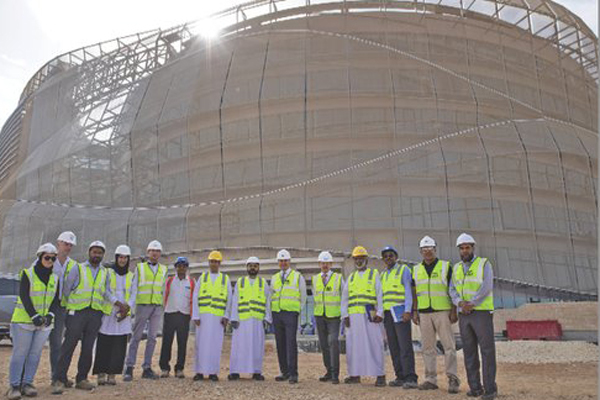 Oman Tourism Development Company (Omran) said the construction work was going as per schedule at the new Omantel headquarters project site with 95 per cent of the project already completed. The Omantel headquarters, which boasts a novel design, is set to be the first building in Omran's Madinat Al Irfan Business Park, reported Muscat Daily. Omantel HQ is being developed to a high standard of green building specifications, it stated. The design brief for the building, which was developed jointly by Omran and Omantel, required the building to reflect the architectural and technical advancement in telecommunications, maximise efficient internal layouts and be cost effective and sustainable, said the report. The result is an iconic exterior that takes inspiration from the Omani Massar, sculpted to show the flowing and overlapping of the Omani headdress, establishing a visually clear form representative of Oman and ultimately becoming recognisable as one of the Muscat skyline’s iconic buildings. The project is likely to be completed and delivered by mid-2019, it added.